I saw this idea when I was making the Xmas scene decorations (see my last post). 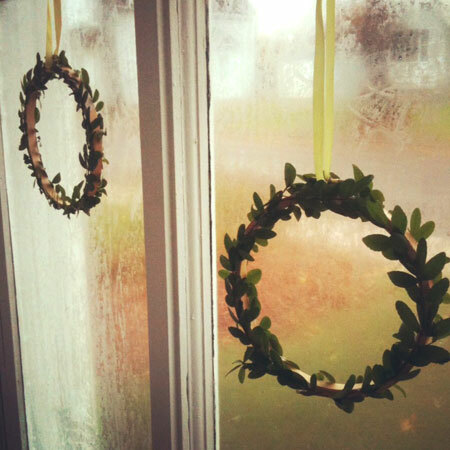 It’s a super simple craft, you just need boxwood, a hot glue gun and embroidery hoops. I had tons of hoops lying around so I thought I would give it a try. These were super easy to make and turned out so pretty and simple. I am going to keep a few, but I’m mostly going to give them as early Xmas presents. 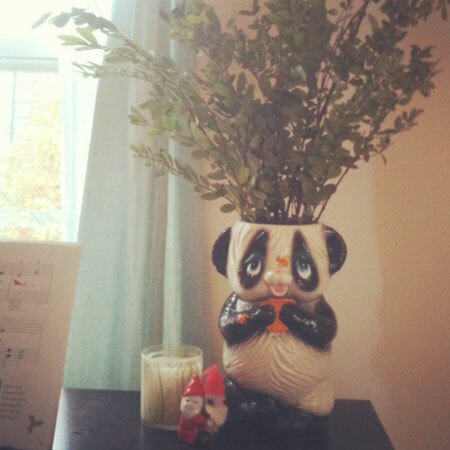 The extra boxwood has found a home inside cookie panda, all my vases disappeared in our move… (he as always) was happy to step in to help.